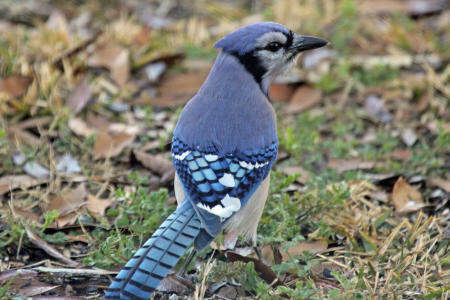 Blue Jays are generally blue with a crest on top of the head, white markings on the wings and tail with the greyish under parts and the black necklace. 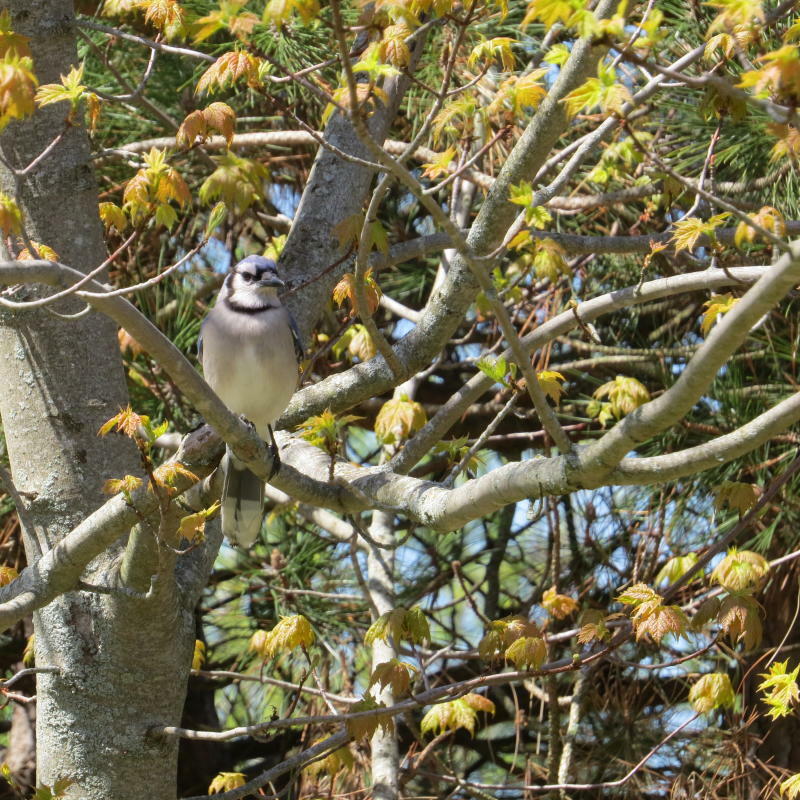 Blue Jays are omnivore, meaning they are fond of seeds, nuts and small injured animals. Blue Jays mimics the calls of hawks.